B has Alzheimers and so her long and caring life has been lovingly recollected by her husband Zander. From star athlete, B trained as a Nightingale nurse, then as a midwife. She married, had four children, and became a loving mother and creative home-maker. Then she worked as a community midwife in Fife, an AIDS nurse, and a home care nurse for the independent elderly. Brilliant cook and writer of… cook books, stylish homemaker, doting grandmother of eight and wonderful friend to many. 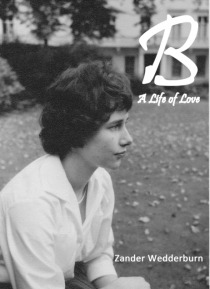 This is a personal account of her life and includes a number of photographs to accompany the memories.